Footballs? This is a term that some of our guests have used to describe the Walleye on all three of our lakes. Although Silsby, High Hill and Cuddle Lakes have the reputation as world class trophy pike factories, we don’t want to underestimate our walleye fishery. 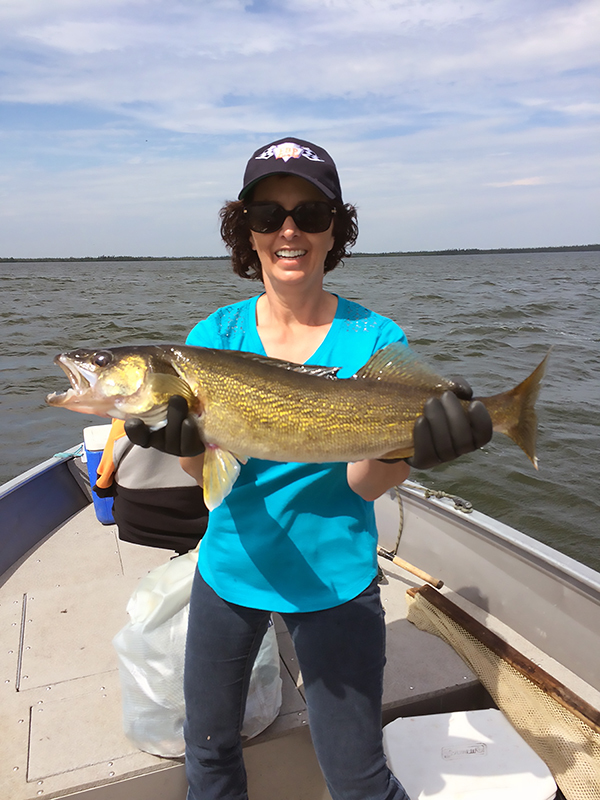 Most of our guests measure our walleye fishing on the amount of time it takes to get shore lunch (including the Walleye you have to release because they are too big) and on any of our lakes we can put you on the Walleye spots in 15 minutes from camp. Our Walleye fishing improves every season in quantity and size. Schools of Walleyes can be seen moving in and out of bays at Silsby Lake in as little as 6-7 feet of water. You will find many hard-hitting walleye taking your favorite pike lures. When you are targeting walleyes the best method is jigging with ¼ to 3/4 oz jig with a twister tail in white and yellow. We have frozen minnows on hand at all camps to encourage the bite. There are a lot of reefs and islands on Silsby and the outpost camp lakes to test your skill at jigging or troll off the bottom with our special single hook crank baits. 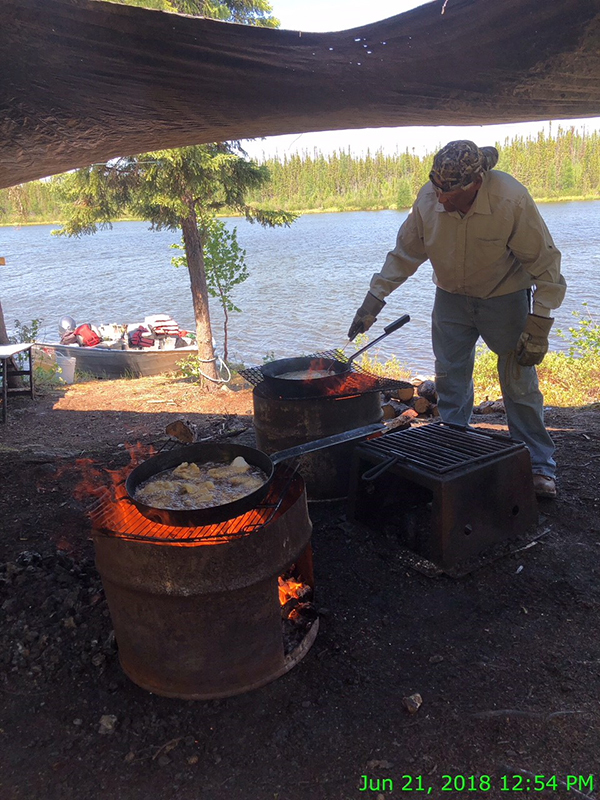 After an exhilarating morning of catching Walleye and Northern Pike consistently, it’s time for shore lunch and our guides are masters at this craft. We have pre-planned shore lunch spots on all of the lakes to make this process easy and comfortable. After a relaxing time of eating and telling fish stories of the one that didn’t get away, it’s time to head out on the lake again for the afternoon to create more memories to tell at dinner. Our guides are all experienced Walleye fishermen and are still finding new holes on a daily basis. Their patterns are also being figured out as we have fished for them throughout May, June, July, August and September. Still a lot to learn about these "footballs" on Silsby and the outpost camp lakes, but I guess that's why they are so fun to fish.